The Buri utility knife has a full tang 420 stainless steel blade and durable sheath. Perfect for diving, kayaking, rafting, search and rescue, and marine survival kits. Designed for avid outdoorsmen and women, the Buri delivers big cutting power in a compact form. 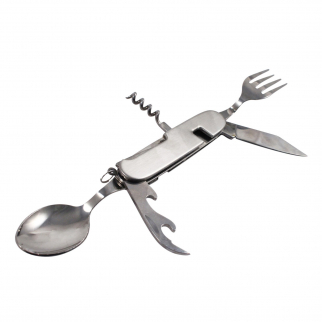 Use this well-balanced utility knife to cut line, slice food, break glass, and open bottles. Whether you're diving, kayaking, rafting, or dealing with a marine emergency rescue, this knife will be there when you need it thanks to the versatile sheath. This durable sheath has durable webbing mounts and a strong clip, so you can attach this knife to your leg, vest, belt, or BCD. The full tang blade is ultra-strong and will not break under pressure. With multiple retention points, you can attach this knife and sheath virtually anywhere. Whether it?s your first camping trip or your annual diving expedition, be ready with a utility knife at your fingertips. 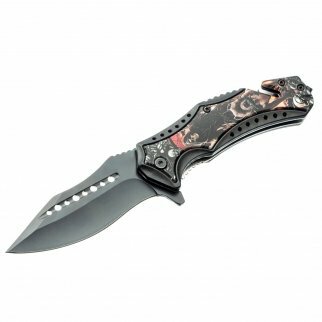 ASR Outdoor Clip Point Blade Pocket Knife 4.75 Inch Window Punch Reaper Bulldog $ 14.99	• 25% off!